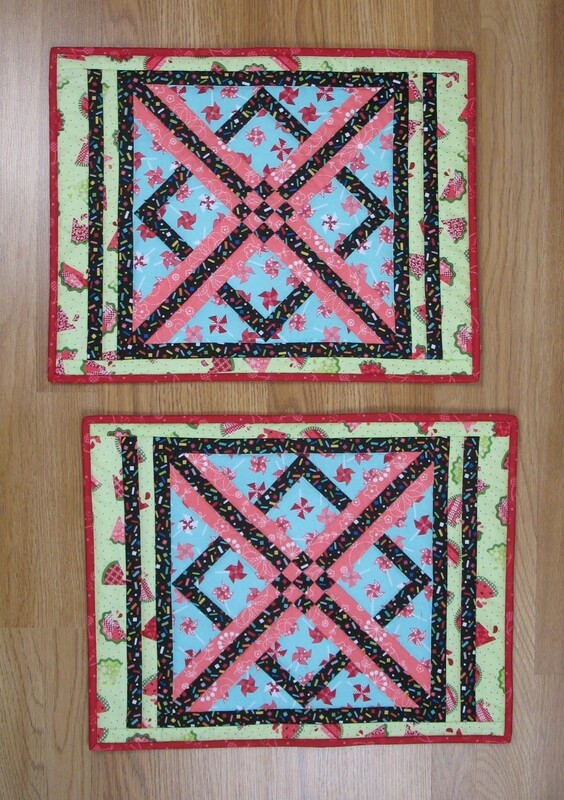 Fun and bright fabrics make up this kit for two striking placemats! 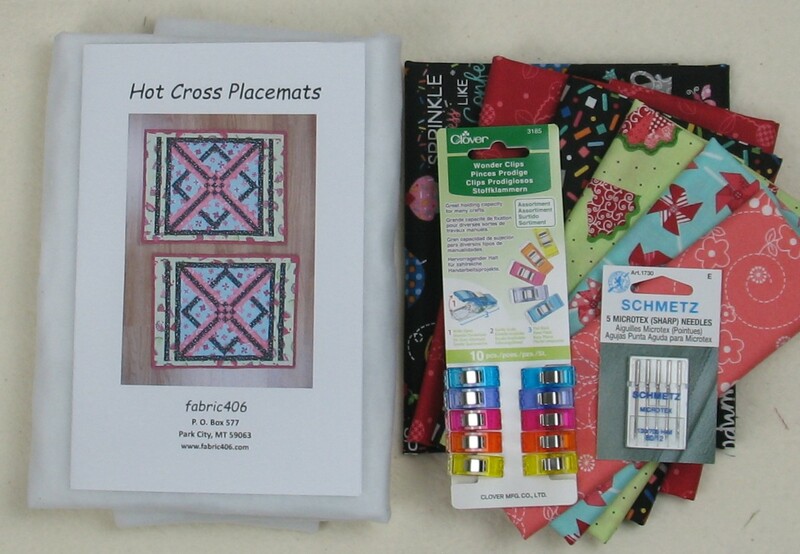 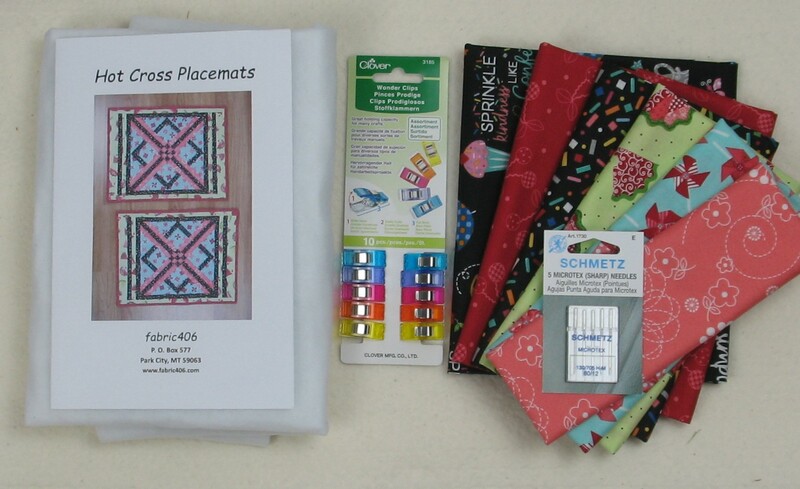 Kit includes all the fabric (including top, binding and backing), batting, and pattern to make the placemats - plus a pack of Schmetz needles, and a pack of Wonder Clips by Clover. 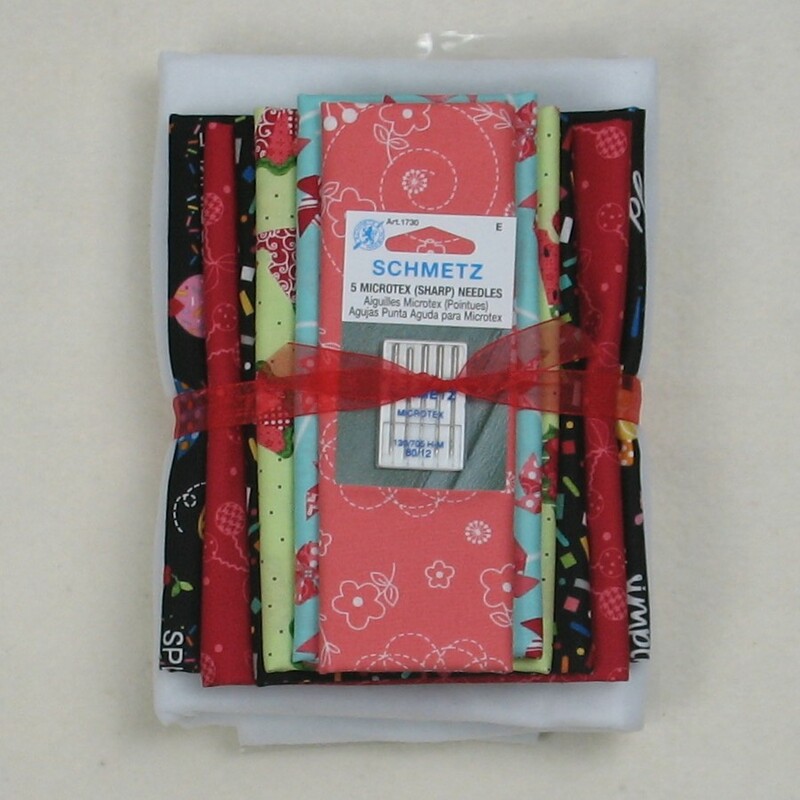 The fabrics are from Kimberbell Designs' "Sprinkle Sunshine" and "Basics" collections for Maywood Studio.